Everyone remembers receiving the lecture on your very first day in school: you have a classmate with a peanut allergy, so you and your peers are taught what that means and that you must be careful about exposing them to any nut-related foods or products. As you grew, you came to understand that allergies can vary immensely, both in type and intensity of reaction. Technically speaking, a human being can be allergic to anything; though some cases are quite rare (such as the allergy to water) and usually attributed to other health problems, it is possible to have a physical response to any type of substance or material. Let’s take a look at the most popular allergies. Pets: People with sensitive immune systems may find, in a tragic and unfair twist of fate, that the presence of dogs or cats (or both, if you’re extremely unlucky) makes them sneeze, cough, forces their eyes to water, and their skin to break out in a frustrating and irritating rash. The substance that their ill-fated immune system is reacting to is the harmless (to everyone else) proteins in the pet’s urine, saliva, or dander. Dander, a.k.a. dead skin cells, is particularly mobile: it travels in the air and on your pet’s fur, offering easy access to your skin, eyes, nose, and mouth. Though humans shed between 50 and 100 hairs per day, dogs and cats can easily — and often do — surpass that number, turning your humble abode into a den of itchiness and frustration. Food: Peanuts are just one of hundreds of food allergies out there. Milk, shellfish, and eggs top the list, forcing many people from across the world to restrict their diets away from some of the yummiest cuisines available. Take Mexican cuisine: comprised mostly of corn, peppers, and a variety of meats (such as pork and chicken), the flavorful dishes also heavily favor legumes. Beans are in the same family as peanuts, so it is possible that you’d need to eliminate the heart-healthy legumes in addition to all manner of peanut products. Medicine: Medicine allergies are almost cruel by nature — your body is attacking itself because of a chemical you ingested to help treat the situation. The most common allergies in this category are related to antibiotics: amoxicillin (Moxatag), ampicillin, penicillin (Bicillin L-A), tetracycline (Sumycin), among others are capable of working against your immune system instead of supporting it. This can make obtaining treatment exceptionally difficult; alternative options are often more expensive and less effective. Though most allergies emerge at birth due to genetic predispositions, others can come along at random points throughout life. It has been proven that the more times you are stung by a bee, the higher your chances of developing an allergy against the insect; at the same time, a study performed in Sweden discovered that exposure to propylene glycol and glycol ethers (PGEs) which are commonly found in cleaners and paints can double the likelihood of developing further allergies among children with multiple allergic symptoms. Allergies can strike at any time, and in any form. The telltale sign of an allergic reaction is inflammation — reddening of the skin, swelling (including internally, such as in your throat), and a suddenly very active nose. These symptoms can range from mild, such as a simple hives outbreak, to extreme, such as when airways become so swollen that they’re forced closed and the patient can no longer breathe. 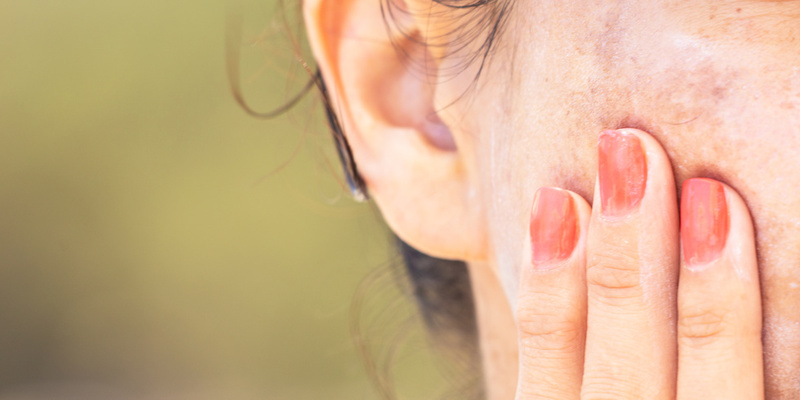 Allergic skin reactions cause itchiness and irritation and can either be limited to a single location or can spread across and throughout the entire body. Your body’s personal reaction depends completely on your immune system. It is vital that you seek out a medical professional if you’re displaying a skin reaction that you believe is allergic; it may be something else entirely. For example, atopic dermatitis (also known as eczema) affects approximately 30 million Americans of all ages. It is not an allergy, but a genetic skin condition in which the skin barrier dries out and becomes sensitive to environmental factors. Though it can be exacerbated by an allergic reaction, eczema itself is not one. Only a doctor can help you distinguish the difference.